Tim Glencross joined New York University Stern School of Business as an Adjunct Professor in 2017, where he teaches the course, "Business and Its Publics." A qualified lawyer in England and former political speechwriter, he is the author of the novels Barbarians, (2014; Huffington Post UK Book of the Year) and Days of the Dead (2017; 'Thriller of the Week’ Mail on Sunday). His journalism includes Esquire, Times Literary Supplement and the Guardian. Professor Glencross has a bachelor's degree in Modern and Medieval Languages from Peterhouse, Cambridge. 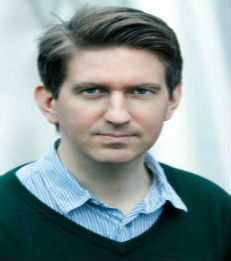 As of 2018, he is a Panel Tutor at the University of Cambridge Centre for Creative Writing.